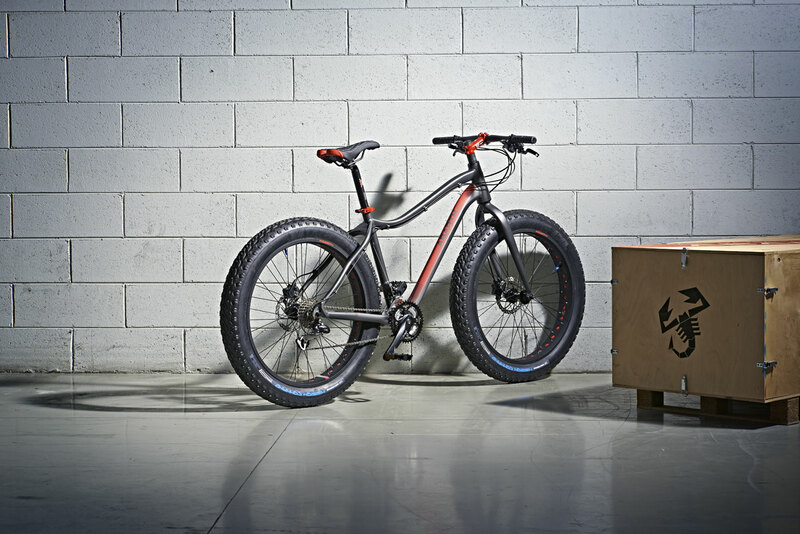 Abarth and Compagnia Ducale are changing the rules of the game for the fat bikes: faster, more versatile, lighter. 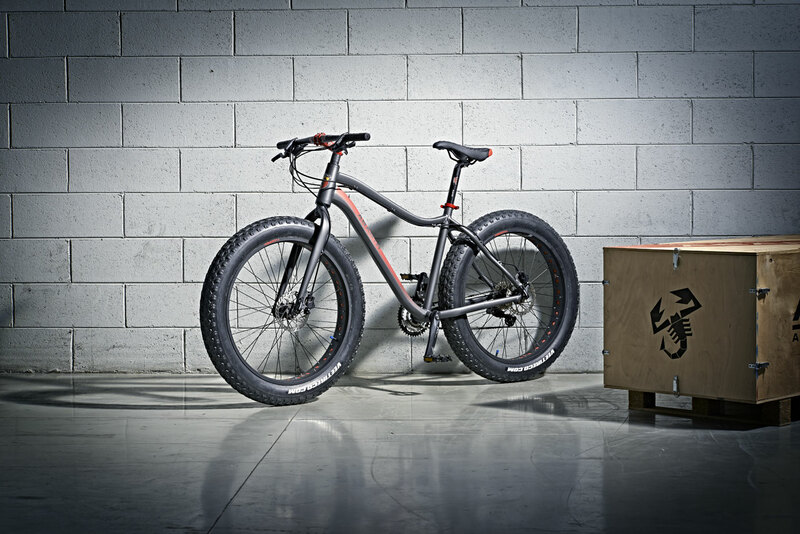 In the name of performance and style, the ABARTH EXTREME Fat Bike comes into life. 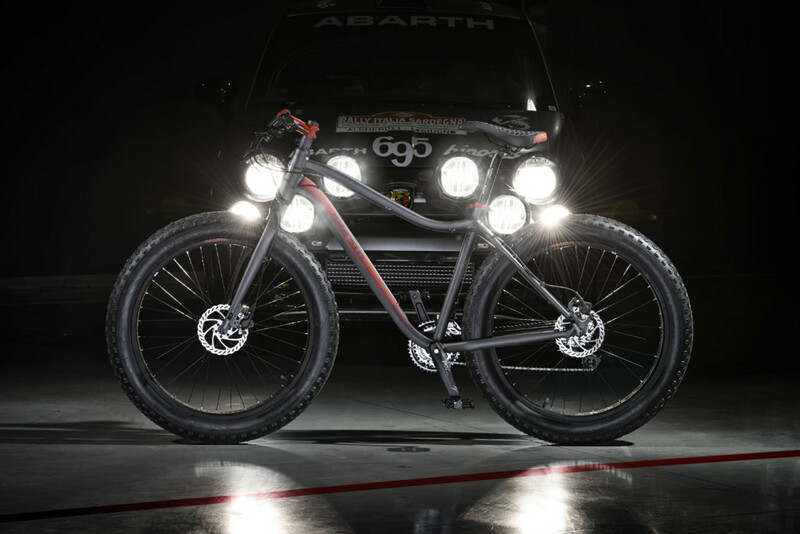 Hydro-formed and customized aluminium frame, rigid fork, hydraulic disc brakes and 24 speed Shimano Acera gear shifter are just some of the technical details that make the ABARTH EXTREME unbeatable. 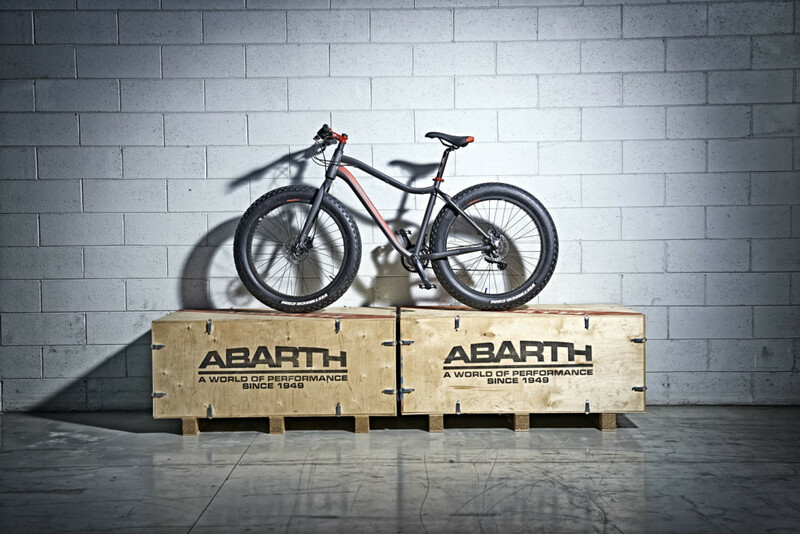 Thanks to the “fat” tires, with a wider section to be firmly stocked to the ground, the ABARTH EXTREME guarantees high performances, even out the track. 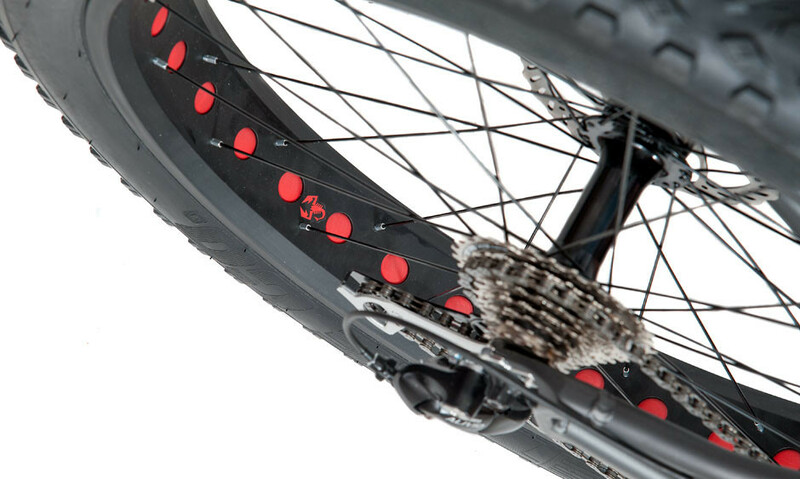 Mud, snow, sand, soil are the asphalt of the ABARTH EXTREME Fat Bike, for whom the challenge is part of his DNA. 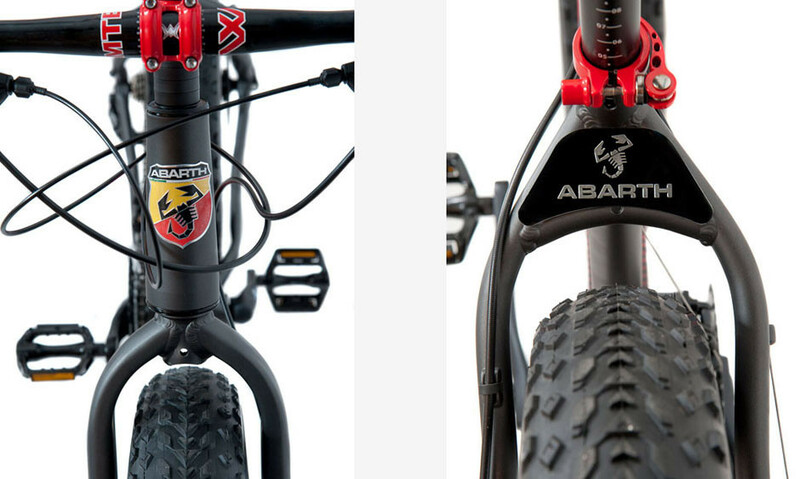 Colours, lines and symbols of the house of the Scorpion characterize the ABARTH EXTREME Fat Bike making it unique and iconic. 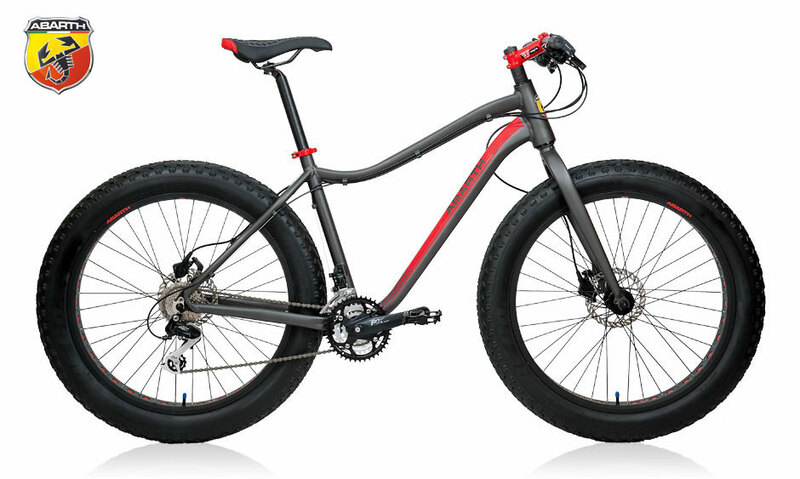 ABARTH EXTREME Fat Bike: the perfect blend of performance, style and technology. 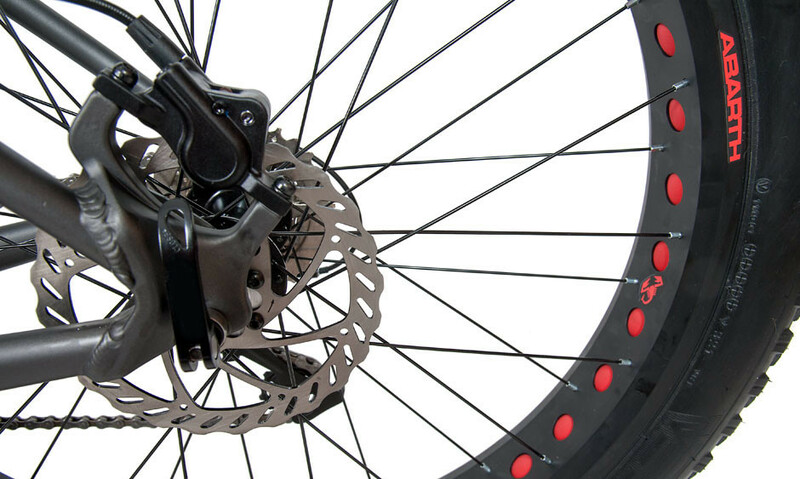 When the road ends, the fun just begins.